The Colorado Ski Country USA Gold Pass is the state's most exclusive season pass, with a limited quantity of memberships available each year. This coveted pass provides unlimited access to Colorado's world-class snow conditions and ski areas all season long. The Gold Pass is also fully transferable, so members can share their pass with colleagues, clients, friends and family. With no blackout dates, the Gold Pass can get you on the slopes and ready to enjoy the ample powder and bluebird days here in Colorado Ski Country! 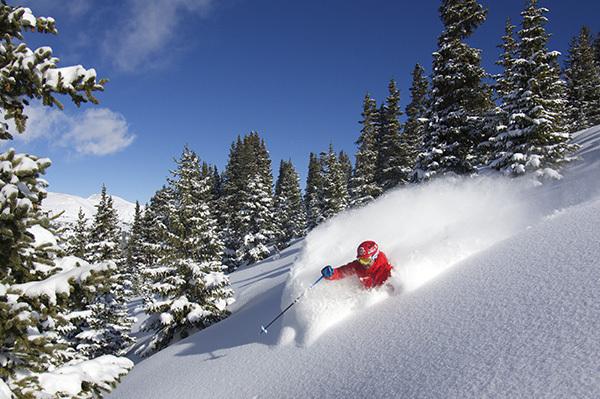 Access to 22 Colorado Ski Country USA Member Resorts for the entire winter season. Transferable to friends, family, clients or employees. Direct to lift access at most ski areas. To apply for a Colorado Ski Country USA Gold Pass Membership, for the 2018-19 season, please download the Gold Pass Membership Application, and return the completed forms to the contact information provided below. Completing the application does not reserve a Gold Pass. New applicants will be placed on a waitlist. You will be contacted promptly should passes become available. CLICK HERE TO DOWNLOAD THE GOLD PASS MEMBERSHIP APPLICATION. For additional information, or any questions regarding Colorado Ski Country USA Gold Pass Memberships, call 303-866-9728 or email Kim Soderholm at kim@coloradoski.com. Office Hours are Monday-Friday 9am to 5pm. We will be unable to field requests outside of our stated office hours, but will get back to you promptly on the subsequent business day.